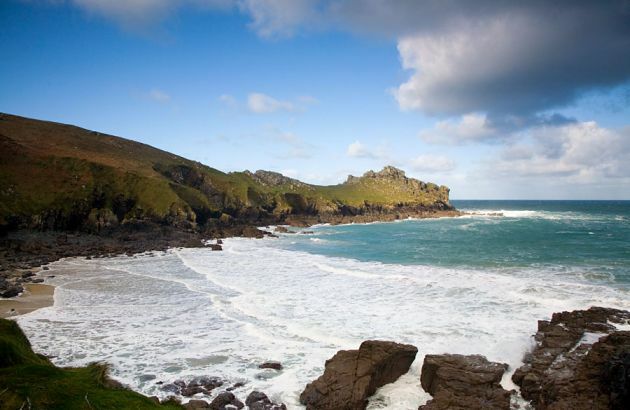 Cornwall is blessed with more coastline than any other county in Britain. Not only this, it is nearly all stunningly beautiful. So, it was no easy task to choose ten of the most scenic clifftop views along this coast. Each section of the Cornish coast has its own unique character, however, you will here the word rugged bandied around and there are very few cliffs in Cornwall which aren't. The great thing about all these places is due to their inherent drama they are beautiful throughout the range of conditions; whether it be a force 8 gale or one of those rare, cloudless summer days. Initially I wasn't going to include the (in)famous Land's End on my list. As a location I think it has been somewhat spoiled by the motorway service station style complex that greets visitors when they first arrive. But, looking beyond this the cliffs here are still as spectacular as they ever where. Taking rugged to a new level the view from the cliffs here is frequently dramatic with the Atlantic providing the show. There are also a few interesting features such as the "Armoured knight", a giant rock arch and the Longships lighthouse just offshore. This is also a great spot for sunsets as there isn't much west of here for a long, long way. 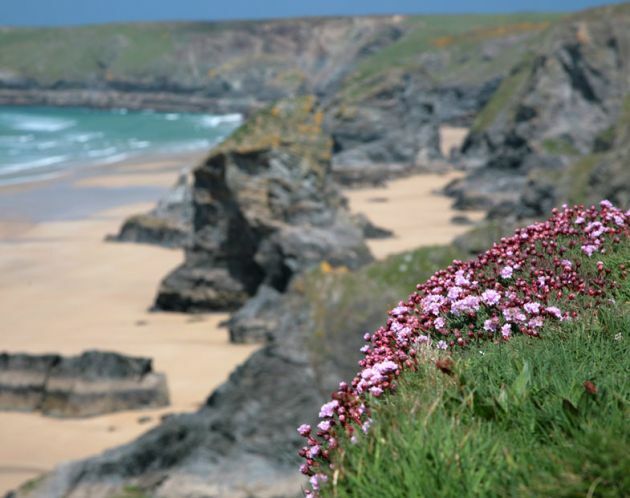 Legend has it that the enormous sea stacks that lead across the beach here, towards Pentire, were put here by the giant Bedruthan and used as stepping stones. Whether this (or some kind of geological phenomena) is how they got here or not they certainly make a stunning view. 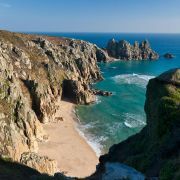 As a result the National Trust owned Carnewas cliffs have become one of the most visited spots on the North Cornwall coast. 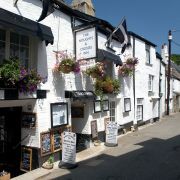 The North Cornwall village of Tintagel has strong associations with Arthurian Legend. 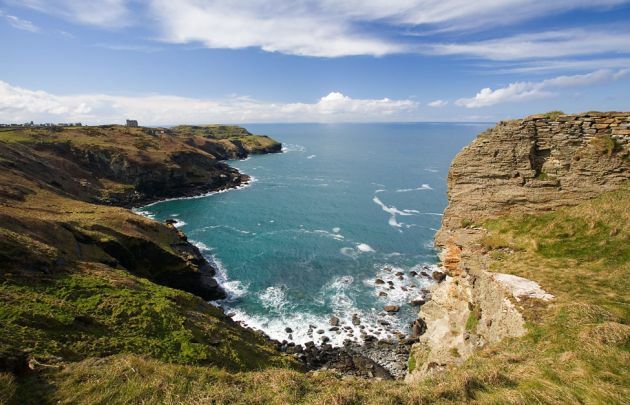 It is said that Tintagel Castle is the birthplace of King Arthur and there are many other local connectinos with Arthur and the Knights of the Round Table. Whilst I am not a big fan of Tintagel itself the coastal scenery is fantastic. It really isn't hard to imagine why these dramatic cliffs and headlands have come to be so associated with legend. There are castles, caves and a waterfall. 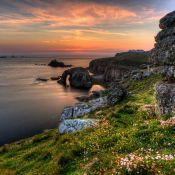 In fact there are great views to be had all along this stretch of coast with headlands like Barras Nose and Willapark along with rock formations and islands. 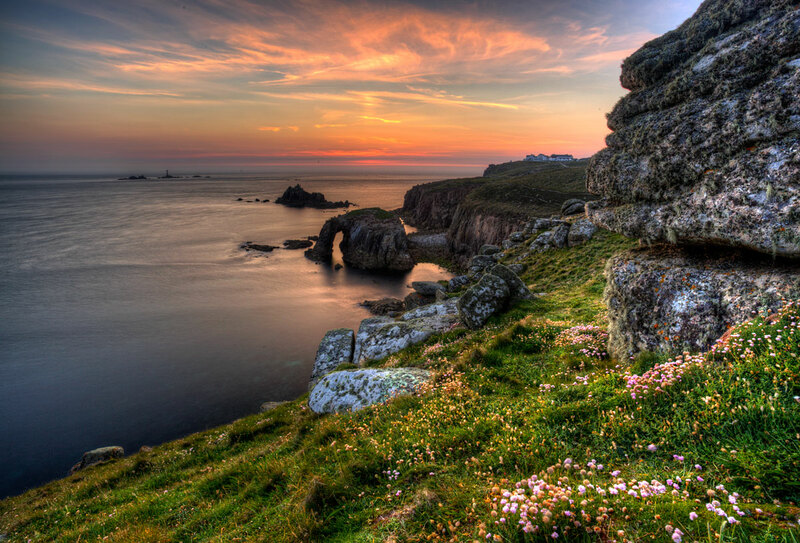 This headland near Zennor gets its name because, well, apparently it looks a bit like a gurnard's head! On closer inspection it is actually quite a dramatic promontory of weathered granite also known as Trereen Dinas. In Iron Age times this was used as a fort. It would have been easy to defend with the Atlantic all around except for the narrow neck joining it to the mainland. This whole stretch between Gurnard's Head and Zennor is a mix of dramatic, rugged cliffs and beautiful little coves. The views are great regardless of whether it is blowing a gale or it is a perfect summer's afternoon. I thought I'd throw in one of Cornwall's picture postcard fishing villages for good measure. There are a few I was thinking of, all of which are accessed between craggy cliffs. 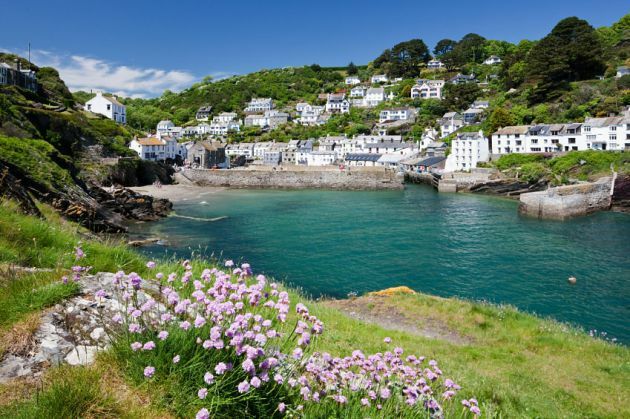 Port Isaac, Cadgwith, Mevagissey were all options but in the end I settled for Polperro. I think it is just that little bit more impressive as you round the corner on the coastpath and see the rows of whitewashed cottages clinging to the steep, wooded valley sides and the blue-green waters of the harbour. 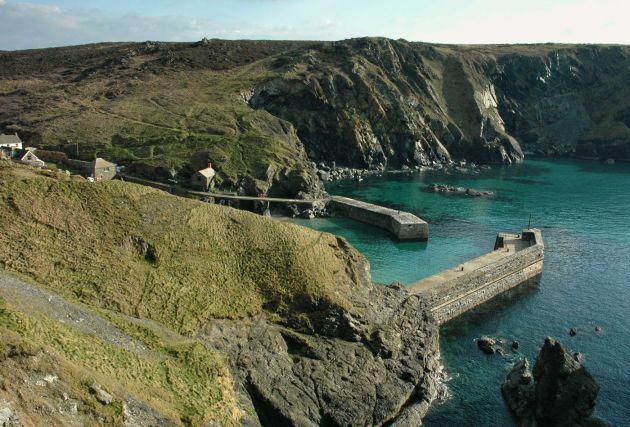 It was a bit of a toss up between two equally lovely spots on this side of the Lizard Peninsula. The obvious choice would have been Kynance Cove but I thought it probably gets enough attention as it is. Instead I chose Mullion Cove, just a few miles along the coast. The view here benefits from the same turquoise waters as Kynance and also has a few weird and wonderful rock formations of its own too. These rocks date back hundreds of millions of years and are volcanic in origin. Most notable are 'Scorvan' and 'the Vro' which are located on opposite sides of the harbour mouth. Just off the coast is the biggest of all the rocks, Mullion Island, a trefoil shaped islet that is home to a range of seabirds. 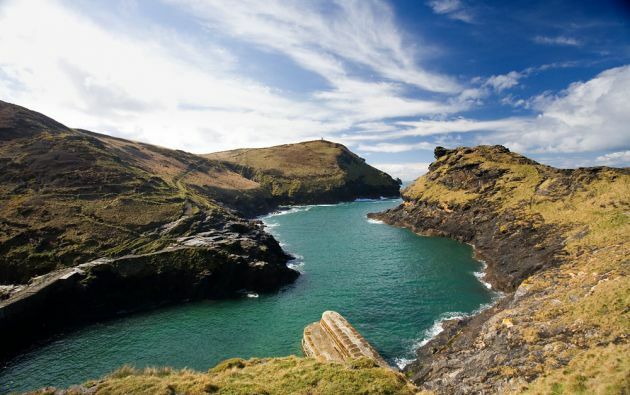 Boscastle is one of my favourite spots. 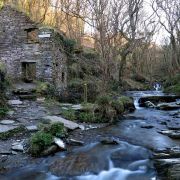 I remember first seeing a photo looking down the Valency Valley and out to sea between the two headlands - it was like everything I knew about Cornwall but all rolled into one; Towering rugged cliffs, the pounding Atlantic waves, a jumble of slate cottages and that incredible natural inlet winding its way up to the tiny fishing harbour. 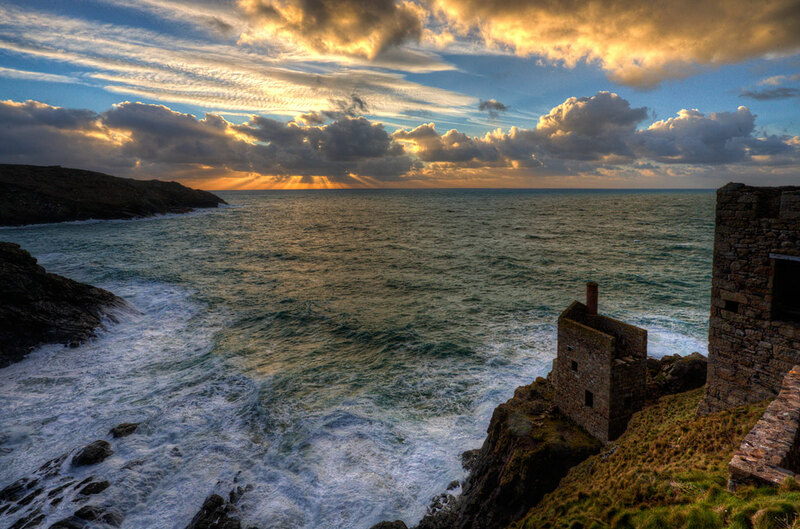 Where ever you stand on the cliffs around this North Cornwall village you are assured a fantastic view. My favourite is looking up the valley towards the headlands of Penally Point and Willapark but the view from either of these is pretty impressive too. 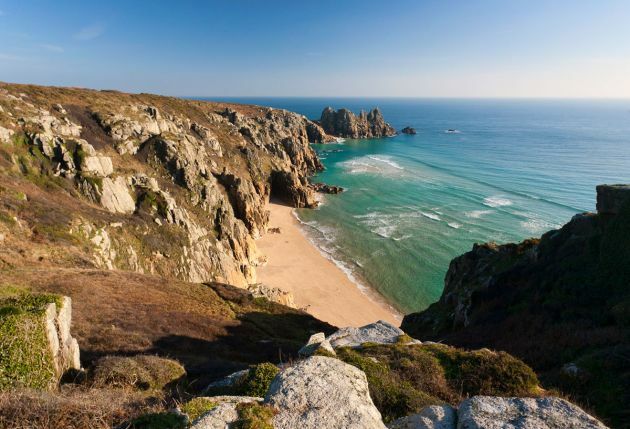 Anyone who has ever driven up to the Minack Theatre in Porthcurno will probably have almost crashed the car when the view of the cove and cliffs suddenly appears to the left. OK, so it is a pretty tight bend but I think the vivid turquoise water, white sand and golden granite cliffs probably play their part too! 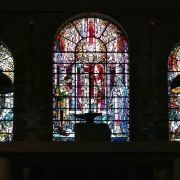 Many people feel an almost overwhelming urge to stop everything and start photographing at this point (myself included). Whilst this particular vista has been photographed to death I still can't stop myself. To get the best views of Porthcurno though, you really need to head for the cliffs. Either direction is good but the best views are looking eastwards towards Treen and the Logan Rock, preferably as the sun goes down and lights everything up in a brilliant red. 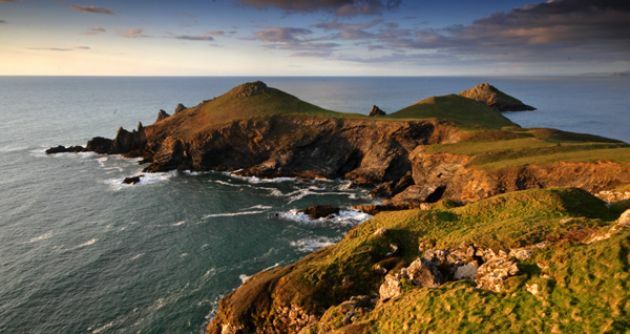 The Rumps are located just around the corner from the popular beach town of Polzeath. This amusingly named twin headland is, in my opinion, the most impressive in Cornwall. Formed from basaltic rock the headlands natural defensive features made it an ideal location for the Iron Age promontory fort. When viewed from the small bay to the west the headland bears a fleeting resemblance to a great dragon slumbering in the sea. This part of the coast is teeming with wildlife both in and out of the water. Dolphins are commonly spotted off the coast here and in early summer huge basking sharks can sometimes be seen. It was along this stretch of coast that a killer whale was also spotted some years back. 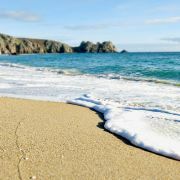 To me, this is what the Cornish coast is all about. Rugged granite cliffs, raging seas, old mine workings and a haunting air that could be a nod to any number of ghosts that walk this coast.